Dimensions: H81 x W35.5 x D35.5 cm approx. 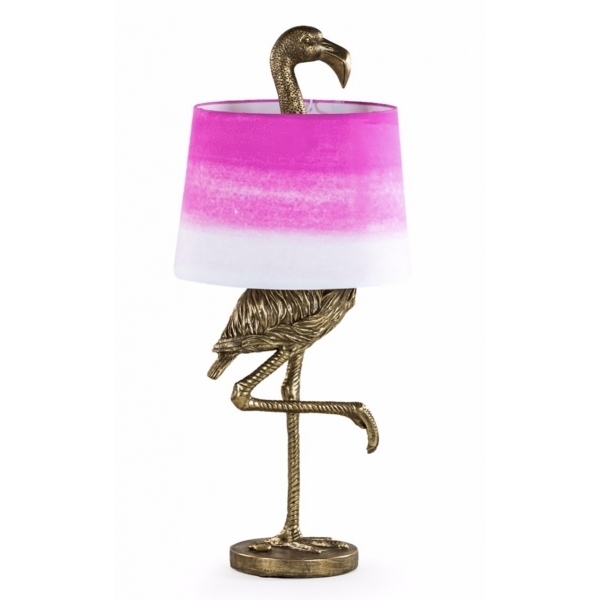 This stunning Antiqued Gold Large Flamingo Table Lamp with Light Shade is sure to attract attention, with its bright pink and white shade and a stylish stand resembling a gold flamingo standing on one leg. The unusual decorative lamp would look fantastic in a variety of interiors and would make an extra special gift.